The neighborhood of Tollgate in Sisters, Oregon has a lot to offer its residents. Many people appreciate living in proximity to the natural beauty of the Cascade mountains. Tollgate is an ideal place for people who want to enjoy all that nature has to offer while living in the comfort of a pleasant neighborhood that is minutes away from downtown. Consider some of the highlights of moving to the Tollgate neighborhood. There are several quality schools for kindergarten through 12th grade students available to families living in Sisters, OR. Some examples include the Sisters Christian Academy, the Tumalo Community School and the Black Butte School. These schools offer children a solid education provided by caring educators. People living in the neighborhood of Tollgate have the opportunity to take advantage of the delicious cuisine served up by local restaurants. For instance, parents and children can visit The Open Door restaurant in Sisters to enjoy a variety of salads and other dishes. The welcoming atmosphere of The Open Door has made it a favorite in Sisters. Other inviting eateries in the area include Jen’s Garden and ALI’s. 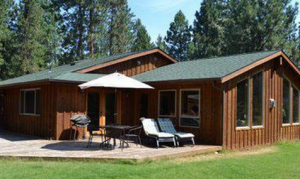 Residents of Tollgate are able to admire the sights of the various lakes such as Suttle Lake. There are also resorts in the area where families can spend time swimming, playing tennis, horseback riding, and white water rafting and enjoying other outdoor activities together. One example of a beautiful local resort is Black Butte Ranch. People who live in Tollgate will love walking the local mountain trails and admiring the pine trees that grow in the area of Sisters. There are also biking trails for individuals and families who want to enjoy the sights at a higher speed! Rock climbing, fishing and bird watching are a just a sampling of the other activities that people can enjoy when they live in the Tollgate neighborhood of Sisters, OR. For residents of Tollgate who love the arts there is the Sisters Folk Festival that takes place each September. This festival is made up of a group of performers that sing folk songs, the blues and other types of music. There are quilting exhibits for residents of Tollgate and others in Sisters to see. Visitors will admire the intricate sewing work and the underlying stories told by these quilts. In addition, public artworks are available for viewing in Sisters. These works of art are created by a variety of talented artists. The Clearwater Gallery and Donterra Artworks are two examples of places where artistic creation is taking place. Sculpture, painting, jewelry work and clay creations. Sisters has it all for the residents of Tollgate to enjoy! The neighborhood of Tollgate is a place for individuals and families who want to live in a natural setting while taking full advantage of all of the recreational and educational events happening in Sisters, OR.